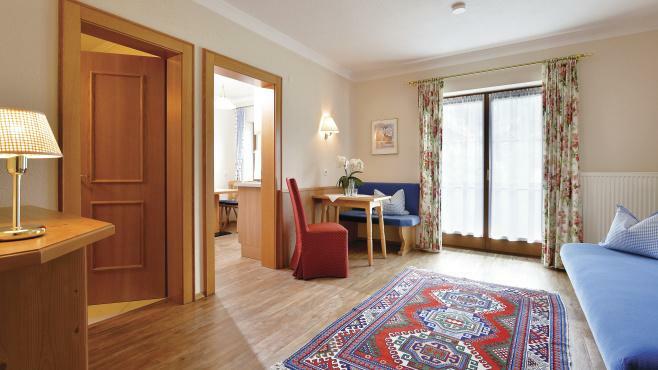 The Eberharter has both comfortable self-catered apartments or B&B rooms available to choose from. 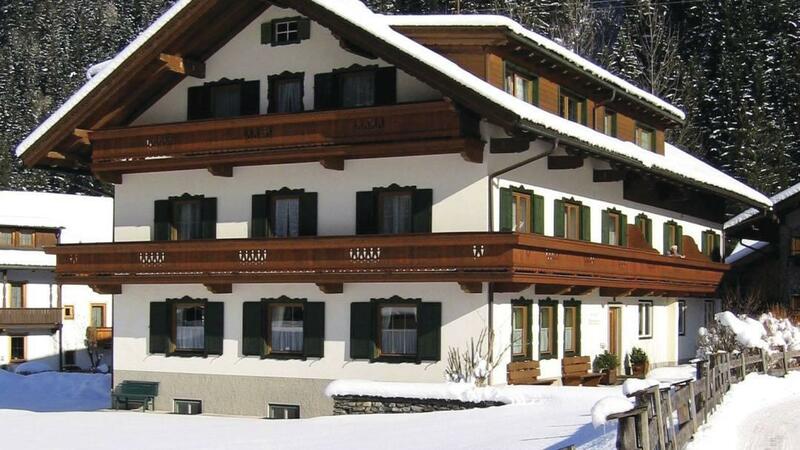 Quiet location • 5 minute walk to resort centre • 10-15 minutes walk to Penken gondola • 1 minute walk to ski bus stop. 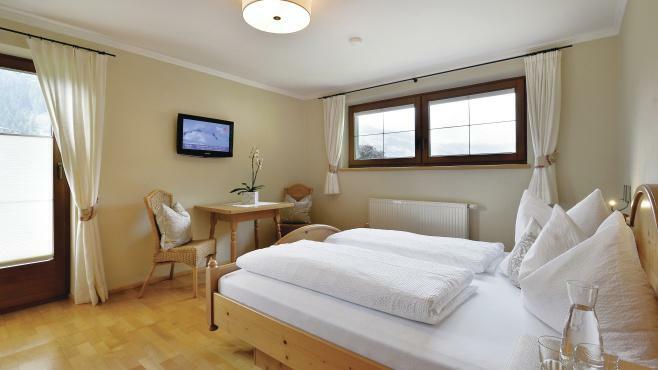 For 2 people on bed and breakfast sharing a room with Austrian twin beds, private bath or shower and WC. Rooms sleeping up to 3 people are also available. 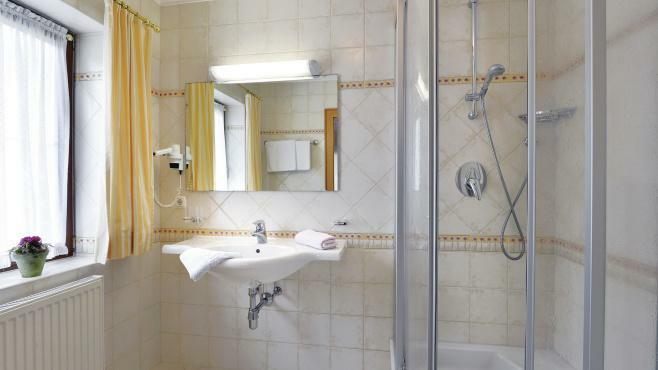 All rooms have hairdryer, satellite TV and extra charge for WiFi. All apartments have a fully-equipped kitchenette with microwave, twin hobs and fridge, private bathroom with bath or shower and WC, satellite TV, hairdryer and balcony. 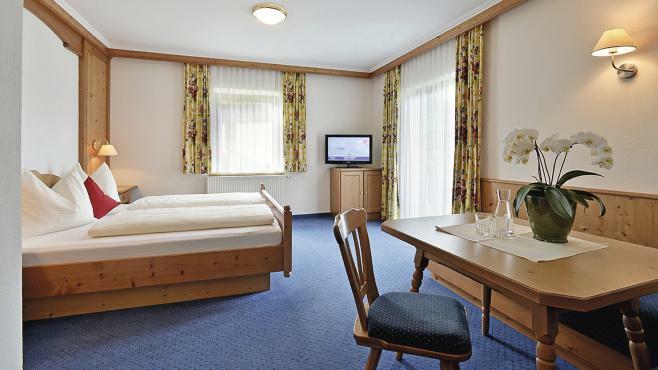 Bed linen, towels and end-of-stay cleaning are all included. 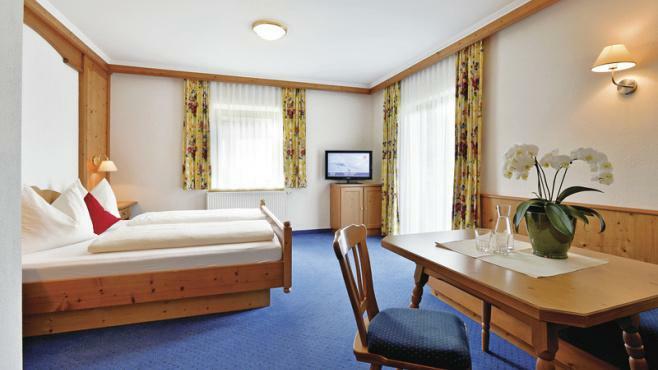 Type D standard apartment - sleeps 4-5 (max 4 adults): Two Austrian twin bedrooms and lounge with single sofa bed. 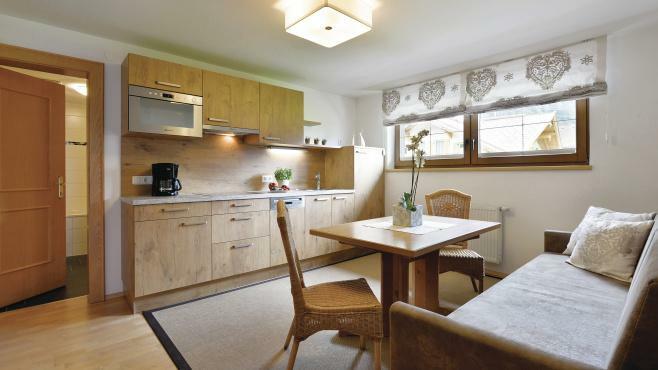 Type E deluxe apartment - sleeps 2-6 (max 4 adults): Two Austrian twin bedrooms and lounge with double sofa bed. Breakfast room • extra charge for WiFi • ski room with heated boot rack. The Pension Eberharter has no lift. 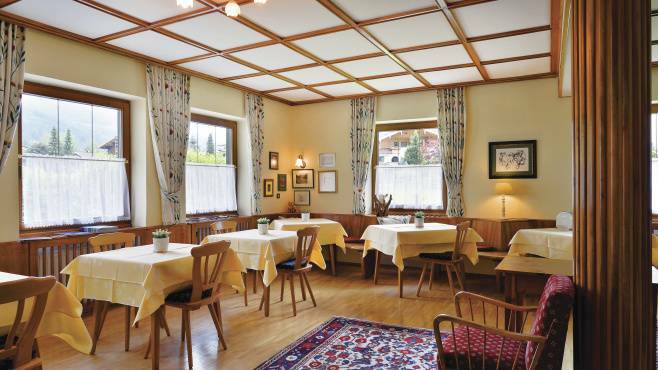 Available on self catering or bed and breakfast board giving you the opportunity to explore the restaurants of Mayrhofen. Optional upgrade to half board with evening meals taken at a nearby restaurant.